Vintage 2003 is the newest addition the well received and highly rated 1990, 1992 & 1999 Vintage. The Vintage 2003 features a beautifully aged Cameroon wrapper which covers the 8 year old filler & binder. A solid medium bodied cigar with full rich complex flavor, the Cameroon wrapper gives the Vintage a rich complex flavor with hints of sweet spice, cedar, & notes coffee with a nutty finish. Tasting notes: Medium to full bodied with full rich complex flavors consisting of white pepper, dark chocolate, espresso with a lingering sweet spice that stimulates the palate. 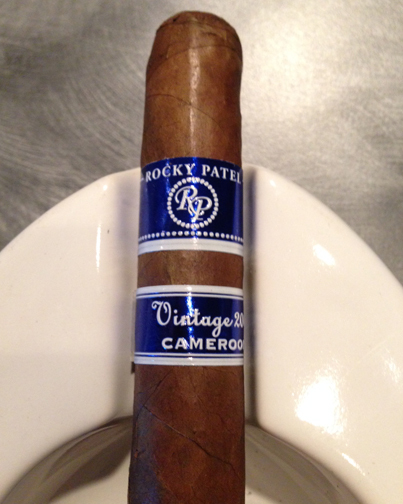 Be the first to comment on "Rocky Patel Vintage 2003 Cameroon"